I'm Don Cherry. ﻿Tonight on Coach's Corner we are interviewing power forward for the Colorado Avalanche, Braydon Freeman. Freeman, almost 20 years old, is the highest scorer in the NHL for the second year in a row. Cherry: Braydon, welcome to the show. Tell us a bit about yourself. 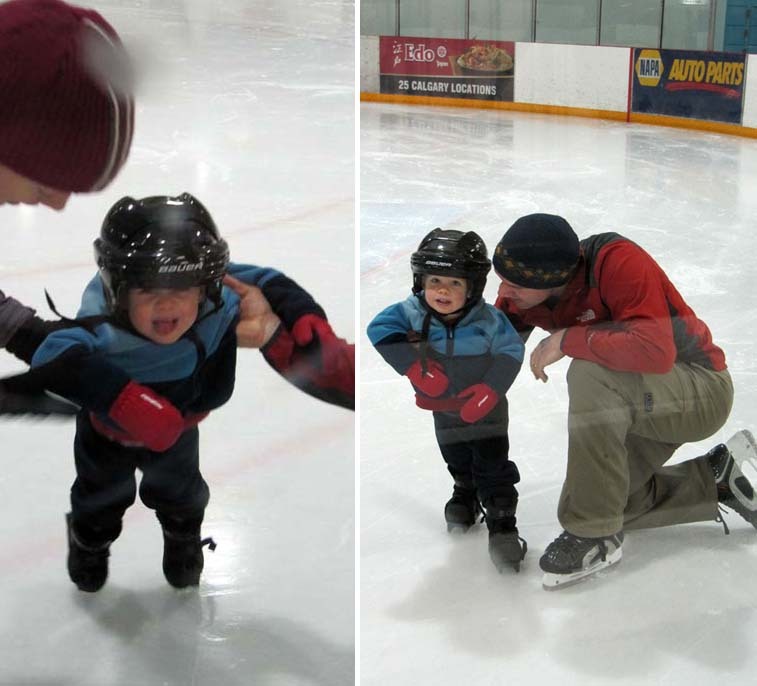 Freemen: I grew up in Calgary I've been on the ice since I was around two years old. After that I worked my way through the Atom, Bantam, Peewee, Midget, Junior B and Junior A leagues. Cherry: Have you always wanted to play hockey? Freeman: Yes. I can't remember a time when I didn't want to play. I've always liked it. Cherry: Have you always wanted to play center? Freeman: When I was little there was a time that I toyed with the idea of being a goalie but I get a kick out of scoring goals. Cherry: Who are your favourite hockey players from the past? Freeman: From very long ago I liked former Avalanche players Joe Sakic and Peter Forsberg. Growing up in Calgary I liked watching Jerome Iginla. I also liked Sidney Crosby. He had a good, long career and he'll be missed now that he's retired. Best of all was watching my Dad play hockey. My Mom took me to the rink for the first time to watch him play when I was only a few months old. Cherry: Do you like any other sports? .Cherry: You've brought along a couple of pictures of yourself when you took to the ice for the very first time. I believe the date was January 2nd, 2012, you were 23 months old and you were wearing bobskates from Canadian Tire. Is that true? Cherry: Have your parents given you any advice? Freeman: They've suggested that I be traded to the Calgary Flames. Cherry: Do you have any questions for me? Freeman: Just one. Why do you look the same now, at age 95, as you did in 2012 when you were 77? Cherry: Healthy living and a diet of poutine. 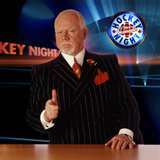 Cherry: Braydon, thanks for stopping by Coach's Corner. You're a gentleman on and off the ice and an inspiration to youngsters everywhere. Freeman: You're welcome. Thanks, Don.